Thanks for your interest in our mock exam. Enrolments for our 2015 mock exam have now closed. If you’re interested in signing up for the 2016 mock exam please provide your details below and you’ll be the first to know about our next mock exam. We will be having a selective schools mock exam for students sitting the Victorian Selective Schools’ Exam on Saturday 30th May. 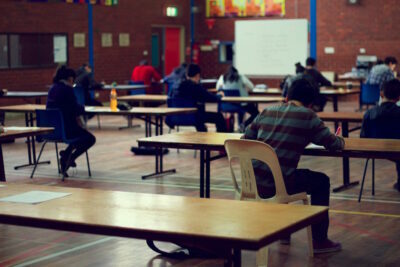 The exam will begin at 9am and will be held at Footscray North Primary School (map). The exam will be held in the school hall. We will have a 4 HOUR interactive workshop the very next day outlining the most common errors and providing tips on how to improve your performance on the day. We also encourage parents of students who have sat the mock exam to sit in so that they can fully understand what their child needs to do to prepare in the last few weeks before the exam. Places are strictly limited so register today to secure your spot. This is your only chance for your child to sit a full-length exam in a similar style and format as the actual test BEFORE the day AND get feedback on your performance! EARLY BIRD SPECIAL! Register by 11th April and get $25 off! 7 hours of test preparation normally $175, now just $150! The Two Ingredients Your Child Needs To Improve Their Chances Of Winning A Scholarship Or Gaining Entry To A Selective School.